Eat for extra energy, to ward off cancer or to drop a dress size with these powerhouses that do double (and triple) duty on your plate. 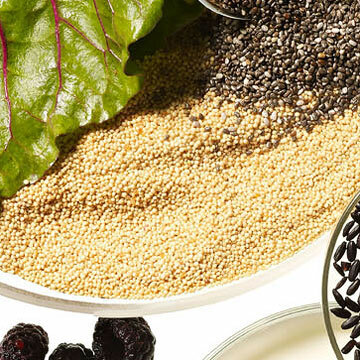 Meet the new superfoods that will have no trouble making it from your shopping cart to your dining room table. "After all, there's not much good in knowing about the health benefits of some obscure fruit or grain if you don't end up eating it," admits David Grotto, R.D., author of 101 Foods That Could Save Your Life (Bantam). These seven wonders of the nutrition world can help you and your family get healthier—while still pleasing your taste buds. "Green tea is made from the leaves; white tea is made from the buds," notes David L. Katz, M.D., director of the Yale-Griffin Prevention Research Center and author of The Way to Eat (Sourcebooks). "It is even richer in bioflavonoid antioxidants." These powerful phytochemicals may aid in lowering blood pressure and cholesterol—and they might have a slight metabolism-boosting effect that can assist with weight management. Just don't add lots of sweeteners to the mild-tasting brew or you'll counteract some of these impressive effects. 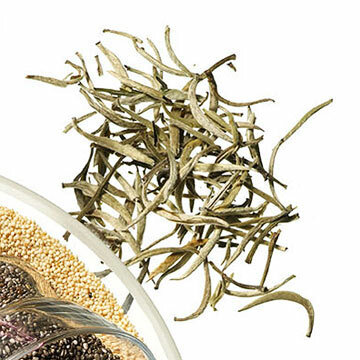 Brew white tea with 80°C (176°F) rather than boiling water. This will preserve the antioxidants and reduce bitterness. Let steep for 3 to 5 minutes. Serve over ice for a cool twist on the usual. Bonus Tip: If you're concerned about going overboard with caffeine, know that there's less of it in white tea, compared to black. Plus, recent research shows that drinking the white brew could help us as we get older. It may reduce your risk of rheumatoid arthritis or even chase away age-related wrinkles. 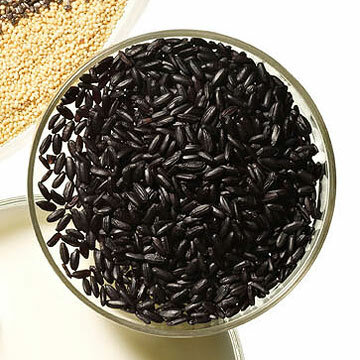 With a slightly purple hue, it reigns supreme at the top of the rice hierarchy. Not only do the nutty-tasting, soft-textured grains contain significant fiber and iron, but they also have impressive antioxidant properties thanks to anthocyanins. Those anti-inflammatory free-radical fighters can improve cardiovascular health and potentially brain function by keeping your arteries clear and promoting better blood flow, notes Wendy Bazilian, Dr.P.H., R.D., coauthor of The SuperFoodsRx Diet (Rodale Books). Top with a stir-fry of sautéed peppers, onion, garlic and chopped chicken or tofu. Incorporate into a salad (instead of wild rice) with diced red and yellow peppers, carrots, scallions and mango. 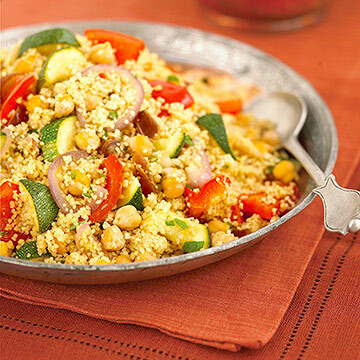 Keep it simple as a side with roasted veggies such as peppers, cauliflower, zucchini and onions. Bonus Tip: As if you need it, here's more impetus to at the very least switch over to the brown variety. A recent study published in the British Medical Journal showed that regularly eating white rice significantly increases your risk of getting type 2 diabetes. This nutty but slightly sweet grain keeps your energy revved up because it contains all nine essential amino acids, Grotto explains. Moreover, the gluten-free nutritional colossus (containing everything from calcium to iron to potassium) is high in potentially cancer-fighting and cholesterol-reducing phytosterols. 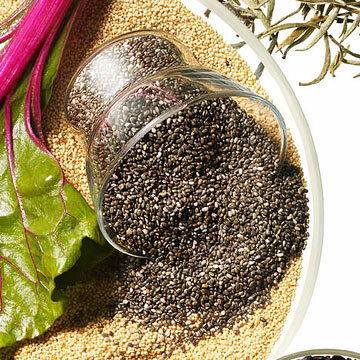 Sprinkle amaranth seeds (always rinse thoroughly first) on salads or cereals. Cook seeds (boil 1 cup with 2 cups water; cover and simmer for up to 20 minutes until the grains are fluffy) and try as an alternative to rice, pasta or couscous. Swap amaranth flour for part of your regular (or whole wheat) flour in recipes for baked goods such as biscuits, muffins or breads. Bonus Tip: Looking for a protein boost? You'll find it here. 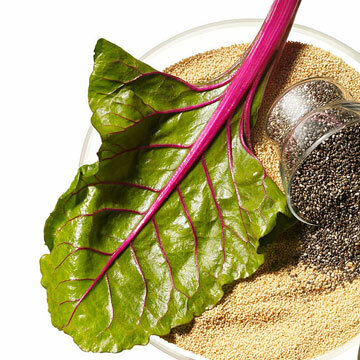 Amaranth has more of this filling nutrient (14%) than most other grains. It's also a surprising source of vitamin C, magnesium, and fiber. It's protein-rich and full of calcium, but this creamy drink's real claim to fame is that it contains probiotics, promoting a healthy digestive system and bolstering immune function. "In Europe, it's a major player in the dairy case," says Bazilian. Since it's slightly tart, blend in berries or a drop of vanilla extract. Try as a healthier alternative to buttermilk in salad dressings. Swap for sour cream on tacos or baked potatoes. Marinate chicken, beef or lamb in kefir mixed with minced garlic and herbs and spices of your choosing. Bonus Tip: If you've found your way to the dairy aisle and slimming down is on your to-do list, take this info to heart: "Kefir has more protein and less sugar than yogurt," says Bazilian. Phytochemicals in these sweet berries cause cancer cells to commit suicide through a process called apoptosis, explains Grotto. Besides its disease-fighting properties, the fruit is low in sugar and calories and high in fiber, vitamin C and folate. Snack summer-style! Eat the fresh or frozen variety (defrosted) solo or in a fruit salad. 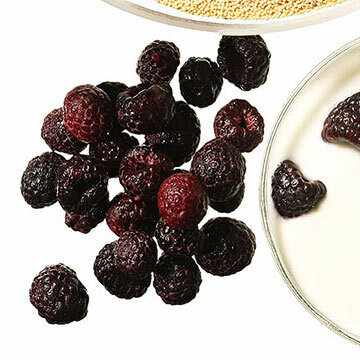 Use the berries in muffins, cobblers or other baked goods. Make into a sauce (with a little sweetener and vanilla extract) to serve over pancakes or frozen yogurt. Bonus Tip: Don't confuse these little bundles of health with blackberries. When you're buying any kind of berry, this is the one to reach for. Sometimes called the "king of berries," its dark hue means a higher concentration of those cancer-fighting compounds we mentioned. Welcome to a dieter's dream come true. 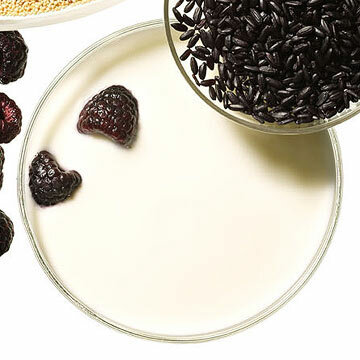 These tiny, nearly flavorless black seeds are packed with fiber (nearly 10 grams in 2 tablespoons!) and expand 16-fold in your stomach by absorbing water. "They help you feel full without making you bloated," notes dietician Ashley Koff, R.D., coauthor of Mom Energy (Hay House). And your heart will appreciate the omega-3 fatty acids. Add to salads or soups. Sneak into baked goods, meatloaf or breading for fish or chicken. Bonus Tip: Another cardiovascular health benefit? When eaten, "they may reduce inflammatory markers and make platelets less sticky," says Grotto. 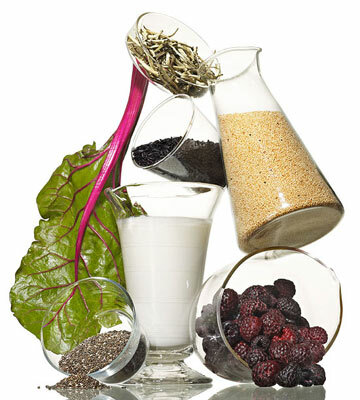 Another way to work them into your diet: Create a gel by mixing one or two tablespoons of the seeds in a cup of water and add that to smoothies or soups. All varieties are loaded with beta-carotene, vitamin C, potassium and magnesium. Swiss chard is also a great source of the phytochemicals that help to regulate hormones and inhibit tumor growth. "It's very low in calories partly because of its high water and fiber content," notes Gayl Canfield, R.D., director of nutrition at the Pritikin Longevity Center in Miami. It's perfect in salad with some diced tomatoes, peppers or hearts of palm to offset its slightly bitter flavor. Substitute for kale or spinach in stir-fries, soups and casseroles. Make chips as an afternoon snack: Remove ribs and spray olive oil on clean chard leaves, sprinkle with herbs or spices, then bake on a cookie sheet in a 375°F oven for 8 to 10 minutes. Bonus Tip: While it comes in a variety of shades, you want to pass up any bunches with leaves that are yellow or discolored when shopping at the market. Its slightly bitter flavor mellows with cooking so consider steaming or sautéing it.